Reliance Jio 4G SIM: Finally Reliance Jio launched commercially, and now available to public. Earlier we all have experienced the Firm’s Jio Preview offer of 4G VoLTE speeds for comparatively lesser prices. The company has also introduced the MNP service which could get them more users to change their network. They are released free Reliance Jio 4G SIM cards with the LYF mobiles with Jio Preview offer. Even without launching officially they had already had over more than 7 lakh users in India. But Now After Commercial launch, Jio 4G is ready for 1.2 Billion in India. 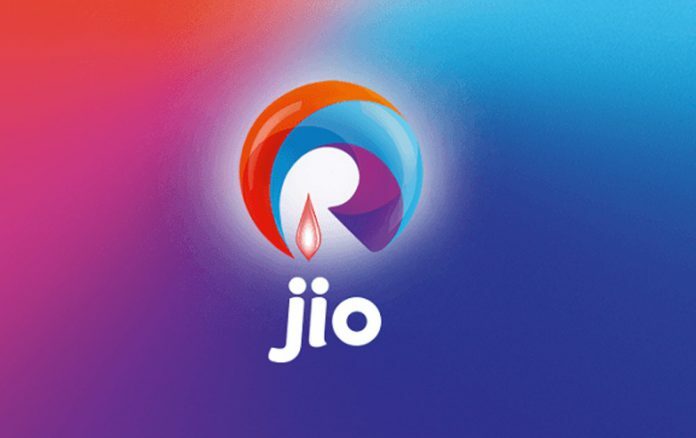 Currently, the Reliance Jio 4G SIM are not available to everyone readily, but soon after announcing the SIM support for the Samsung, LYF, micromax, HTC, Lenovo, SONY, Intex, Vivo, LAVA, Panasonic, Gionee, ASUS, Moto, XoLo, Karbonn, LG, Infocus, Huawei, Videocon, Celkon, Sansui, Alcatel, TCL Smartphones, the company is apparently trying to get more users by offering the preview code for all the Android users. According to the reports, we can install the Reliance Jio App on any Android Smartphone and claim the preview code to redeem the offer. We tested the application on Moto G4 Plus and Moto G 2nd Generation and worked flawlessly. Some of the users had tried on the other smartphones like HTC 10, One Plus 3, etc. and the results are same. If you have already MyJio App on your smartphone, uninstall the app. Go to Google Play Store and search for MyJio. After Installation, Open the MyJio App. Now you can able to find the button “Click to Install All” Hit on the button. Once you install all the applications exit from MyJio Application. Disconnect both your Wi-Fi and Mobile data. Next open the MyJio application, the pop up is encountered with the message “No network connection” Ignore the message and Click on GET Jio SIM. Again the pop up will come showing the message “No Network” Toggle back and connect to the internet by enabling Wi-Fi or Mobile Data. Now when you click the button, you will see Preview Offer code instruction. Follow the instructions to get the code and proceed further by submitting your documents etc. Take the print out of the code along with necessary documents of proof and submit them in the nearby Reliance Jio stores to get a Jio SIM.We had tried this and got the SIM successfully. Note:From the feed back we have got ,In some stores they are saying that these Reliance Jio 4G SIM would only work for only partnered 4G smartphones and denying to give the SIM. Users can avail this unlimited offer using the above mentioned process only by using the MyJio App. The process of MyJio App will support to all LTE mobile phones. And also you can avail Jio SIM from all the retails outlets from 10 September. Samsung Electronics will soon start selling the refurbished Galaxy Note 7 smartphone. The earlier flagship has been controversial for catching up fire and the company has got into millions of losses. Now, the maker is gearing up to sell refurbished Galaxy Note 7 phones across the world. The sources confirmed that Note 7 refurbished phones will go one for sale from July 7. However, the company hasn’t revealed the price of the refurbished Samsung Galaxy Note 7 phones. Samsung information technology division is working on the handset’s cost and will be announced by launch date. At present, the tech giant is holding its bi-annual strategic forum at Seoul. It is expected that the company would announce upcoming launch dates for products like Galaxy Note 8 and Galaxy Note 7’s successor. For the first of its kind, Samsung has suspended the manufacturing and sales of the Galaxy Note 7 after the reports stating several handsets catching fire. The handset’s non-removable battery is accused of the explosions. The humiliation on the Samsung’s flagship made a way to operating losses of some 6.1 trillion won ($5 billion) to the company. Now, refurbished Galaxy Note 7 phones will be rolled out with completely updated software and a lower-capacity battery compared to the original model. The company’s attempt to develop long-lasting and small battery is blamed for the phones catching fire. Samsung received a large number of petitions when it recalled smartphone last year. 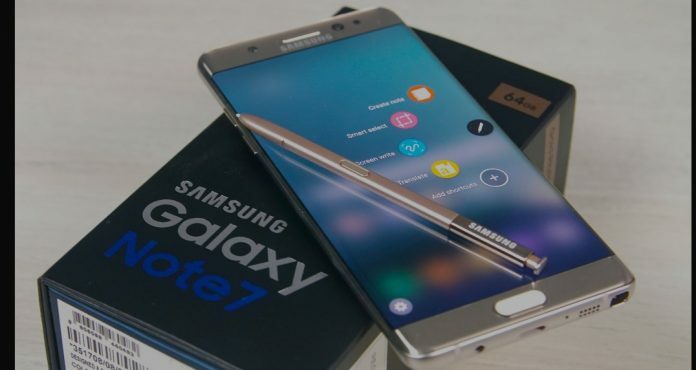 The environment groups have asked to repair and reuse the 4.3 million Note 7 handsets that were produced. Back in March, the company said it would roll out recycle and refurbish Galaxy Note 7 phones for sale. For more updates on latest news visit Techfactslive.com, Follow us on Facebook and Twitter. 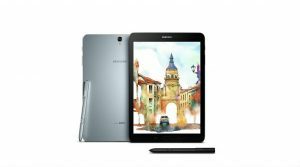 Samsung Galaxy Tab S3: Electronics Giant Samsung has announced a new addition to its tablet lineup. The company has less focused on the Android tablets in the recent times. The Samsung Galaxy Tab S3 9.7 is launched in India today . The tab was earlier announced at the Mobile World Congress MWC back in February, and Samsung has sent media invites for the launch event in Bangalore. The All New Samsung Galaxy Tab S3 can be referred as the updated Galaxy S2 tablet launched in the earlier year. The company believes that the Android tablet will be a direct rival to the Apple’s 9.7-inch iPad Pro. Detailing the specs, Galaxy Tab S3 features a 9.7-inch Super AMOLED display with 2048 x 1536 pixels resolution and comes with HDR support. Just like the company’s flagship Galaxy S series smartphones, Galaxy Tab S3 features a metal and glass design. Samsung Galaxy Tab S3 is powered by 2.15GHz Qualcomm’s quad-core Snapdragon 820 processor. The device boasts 4GB RAM and 32GB inbuilt storage. The storage can be further expanded up to 256GB via microSD card slot. 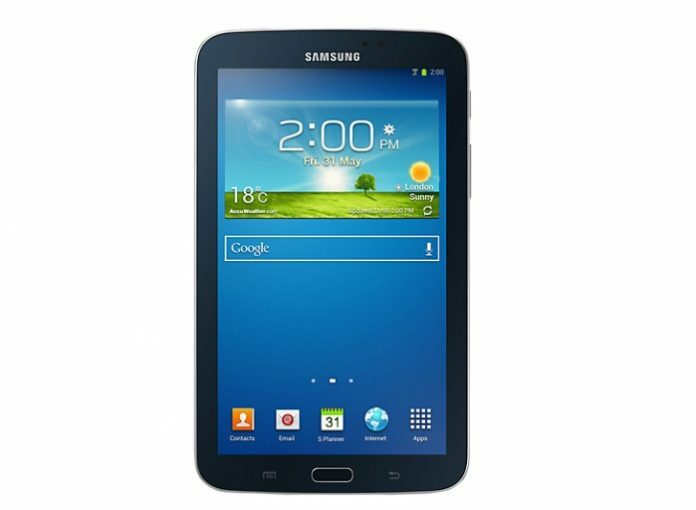 New Galaxy Tab comes with four speakers tuned by AKG which comes with auto adjust feature depending on the way the device is held. On camera font, the tablet sports a 13MP rear camera with LED flash. Another 5MP front facing shooter is provided for selfies. The tablet comes with company’s S Pen for doodling, taking notes and other S Pen features like translate, magnify and navigation. Besides this, the productivity tablet introduces a folio keyboard case which connects through magnetic pins and turns the tablet into a 2-in-1 device. Galaxy Tab S3 measures 6.1mm thick and is backed by a huge 6000mAh battery. The device runs Android Nougat with TouchWiz UI on top, and will be rolled out in black and white colour options. It looks like, the issues related to Samsung latest Galaxy S8 and Galaxy S8+ smartphones going to have no end. Some of the users of these smartphones in the USA are reporting some random restarts of them. Initially, the fix for the red tint display issue was widely reported by the users. Users also informed that one of the temporary solutions for them turned to be removing the microSD card from their device. Some also claimed that they never inserted the memory card in the mobile. Samsung has started rolling out the fix for red tint display issue reported by these smartphone users. As per the latest updates, Samsung Galaxy S8 users in Turkey and UK are receiving the fix while Galaxy S8+ users in Germany and Turkey are receiving the same fix. 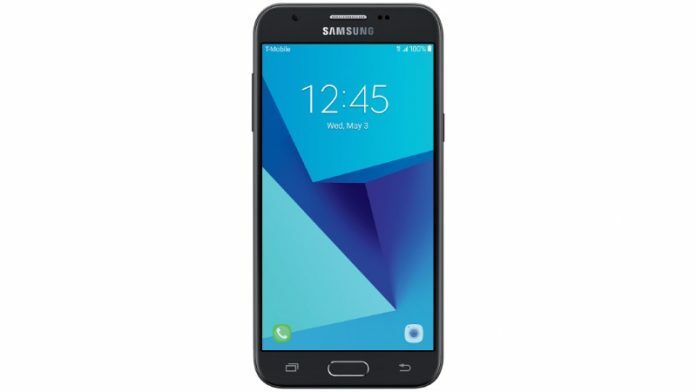 Samsung Galaxy J3 Prime: Samsung has unveiled its latest budget smartphone Galaxy J3 Prime. After the launch of flagship models like Galaxy S8 and Galaxy S8+, Samsung is focusing on the Budget segment. As of now, Samsung Galaxy J3 Prime is made available in the US through T-Mobile and MetroPCS in the country. Galaxy J3 Prime starts at $150, and easy EMI option is also available through T-mobile. Samsung Galaxy J3 Prime features 5-inch HD display with 720 x 1280 pixels. The device is powered by a quad-core 1.4GHz Exynos 7570 SoC paired with 1.5GB of RAM. Galaxy J3 Prime boasts 16GB in-built storage which can be further expanded up to 128 GB with a microSD card. The smartphone runs on Android 7.0 Nougat out of the box. Samsung Galaxy On Nxt Review: Rebranded J7 Prime? On camera font, Galaxy J3 Prime smartphone packs 5 MP rear camera with f/1.9 aperture. Another 2 MP front camera is provided for selfies. The handset measures 139.7 x 69.85 x 8.89mm in dimensions and weighs 148 grams. Connectivity options on the Galaxy J3 Prime include USB, LTE, Wi-Fi 802.11 a/ac/b/g/n, GPS, and Bluetooth 4.1. The Galaxy J3 Prime is backed by a 2600mAh battery. 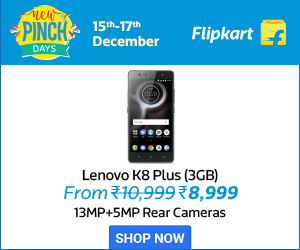 “The smartphone that does everything you love and still fits your budget. Enjoy all your photos and videos on a vibrant 5-inch HD display and get to everything quickly with the streamlined layout of Easy Mode,” Samsung explains in phone’s description.